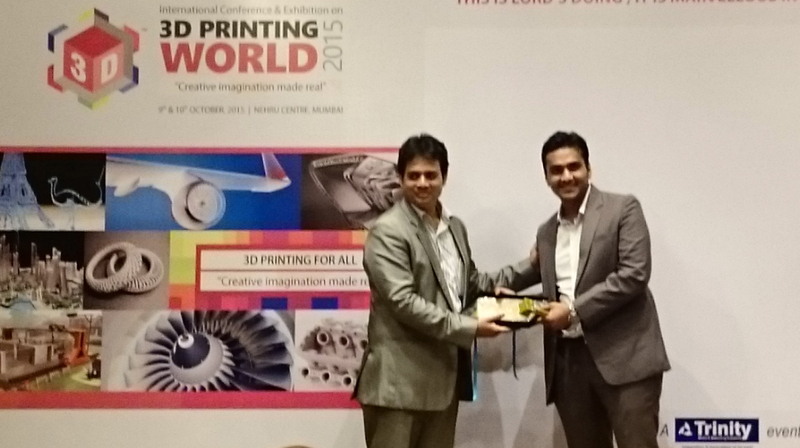 On October 9th and 10th, Star Prototype attended the 3D Printing World Expo recently held in Mumbai, India. Here is STAR’s India representative Mr. Nishant Shah (right) accepting the award for “Service Provider of the Year” from Mr. Shibu John, CEO and President of Trinity Media and Marketing Solutions. Trinity was the organizer of the event, and in this capacity they tabled an advisory council that was tasked with determining which supplier provided the best service, based on customer feedback. 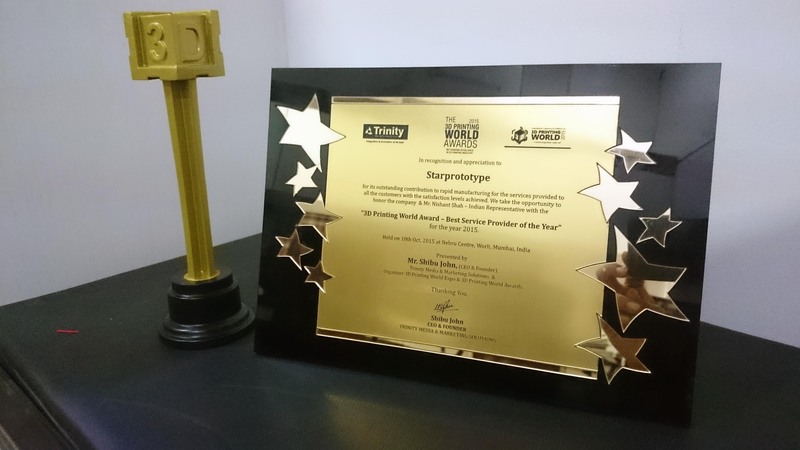 This international panel of distinguished experts in their respective fields chose STAR to receive this award, representing our commitment to providing the highest customer satisfaction along with superior quality parts and prototypes. Star Prototype wants to thank our client partners for putting their faith in us and giving us the chance to earn their trust. We look forward to many new opportunities to meet and exceed our customer’s expectations and to set new standards for quality service in our sector. Contact us today to see how we can exceed your expectations too!